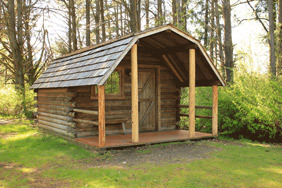 American Heritage Campground has 1 log cabin. 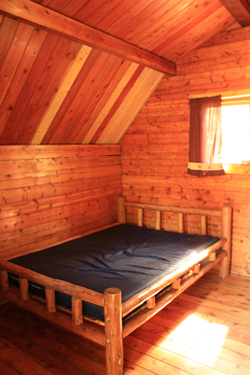 The cabin is a 1-room structure. 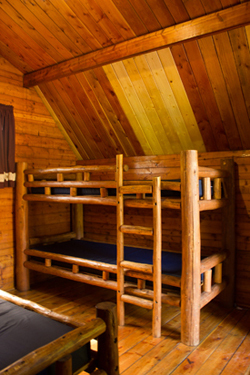 There is a double bed and a bunk bed with mattresses, and sleeps 4 people. The cabin features electricity, desk & chair, and an electric radiant heater. There is a covered porch with a bench. Two opposing windows with screens let the breeze blow through. There is no kitchen, plumbing, water, or toilet in the cabin. All cooking must be done outside. 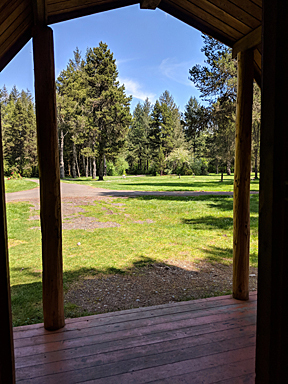 The cabin has an outdoor fire ring and picnic table and water faucet. Guests must bring their own bedding and cooking supplies. 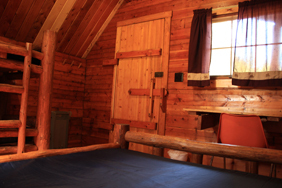 The cabin is approximately 200 yards from the restrooms and showers. $60 plus tax includes 2 people. Kids are $5 plus tax each. Adults are $10 plus tax each. Reservations may be made in person or over the phone. Minimum weekend stay is 2 nights. We require a 2 night non- refundable deposit. Maximum overnight cabin occupancy is 4 people. 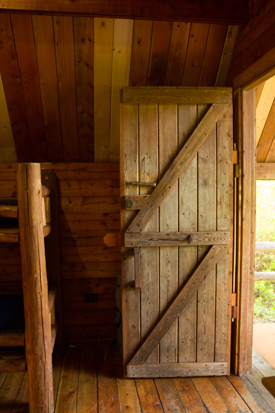 Up to 2 day visitors may be added to the cabin reservation. If you plan on having visitors, please make prior arrangements and include them on your reservation guest list when you make your reservation. Visitor fee applies ($5 per person plus tax). 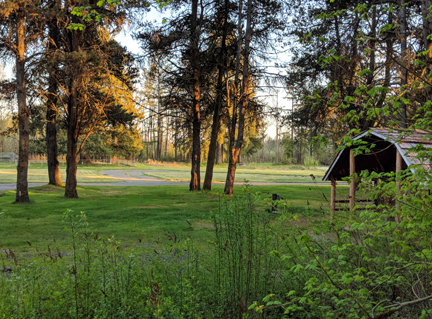 Pets are allowed in the cabin, but all of our campground pet rules apply. Dogs must be leashed at all times when outside, kept quiet, picked up after, and never left alone. No smoking is allowed in the cabin. 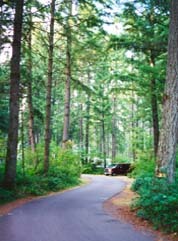 All American Heritage Campground Park Rules and Regulations apply. Violation of any park rule/regulation shall be cause for eviction.